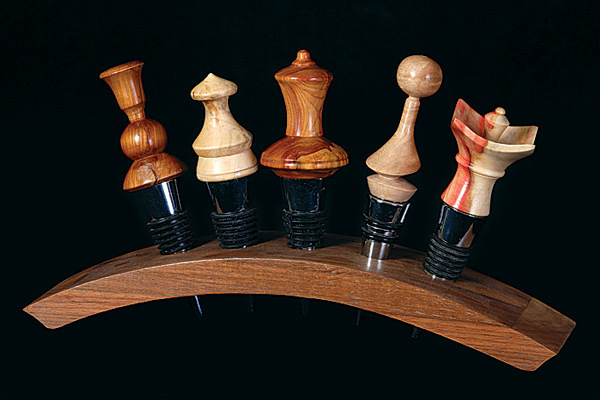 The Made of Wood Show will showcase a juried exhibition and sale of one-of-a-kind creations by some two dozen carvers, cabinetmakers, wood turners and whittlers. There are few arts in which the spirit of the artisan merges so intimately with the spirit of the material as it does between woodworker and wood. And, perhaps along with clay and cloth, there are few crafts where utility and beauty are so inseparably united. The fruit of those connections will be on display this fall in an extraordinary two-week exhibition at Dufferin County Museum and Archives. The Made of Wood Show will showcase a juried exhibition and sale of one-of-a-kind creations by some two dozen carvers, cabinetmakers, wood turners and whittlers. 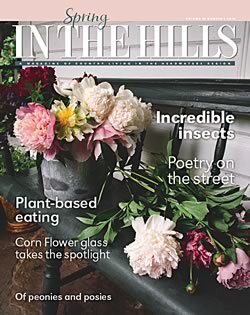 Many of the featured artists and artisans live in the hills, but others will be visiting from across Canada. 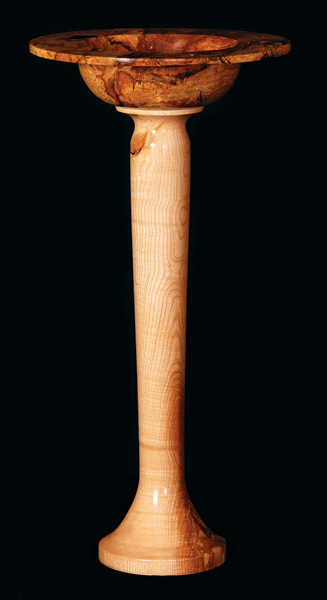 Billed as “a celebration of all things wood,” the exhibition will also include a wide selection of rare wood artifacts from the museum’s collection, including furnishings made by region’s earliest settlers, as well as some twentieth-century pieces, including a restored cedar-strip made by Ontario’s Lakefield Canoe Company around 1930. 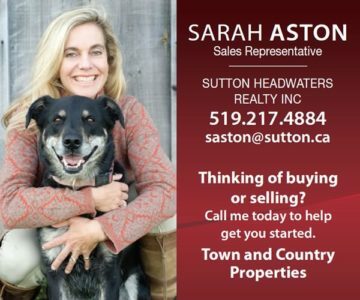 Each of the exhibition’s three weekends will feature a host of demonstrations and hands-on workshops for adults and kids, presented by local hardware stores, home builders and furniture makers. The topics they’ll cover include wood construction advice, trimming techniques, furniture making, tool selection, and even heating with wood. 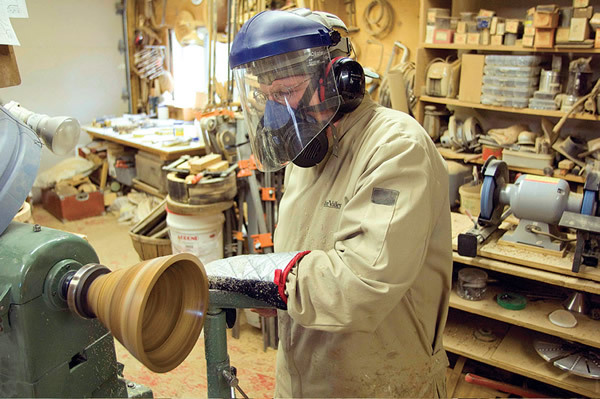 There will also be ongoing lathe demonstrations by representatives of Ontario’s wood-turning guilds. 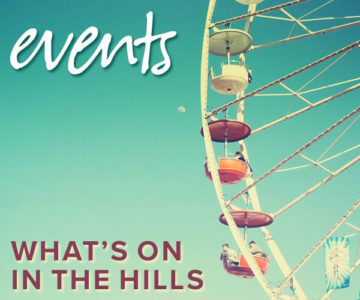 The festivities kick off on the evening of September 12 with music by blues band Trouble & Strife. Band lead man, Larry Kurtz, is widely known as the founder of the Orangeville Blues & Jazz Festival, but that is a diversion from his day job as a carpenter and owner of Kurtz Millworks in Orangeville. In keeping with the show’s theme, proceeds from the opening night raffle – for wood art and antiques – will go the preservation of the red oak tree in the Dufferin County Forest. The county’s official tree, the red oak has growth characteristics that make it difficult to sustain with normal forest management practices. As a result, its health depends on specialized, more costly measures. The exhibition at the museum marks a turning point for the Made of Wood Show. 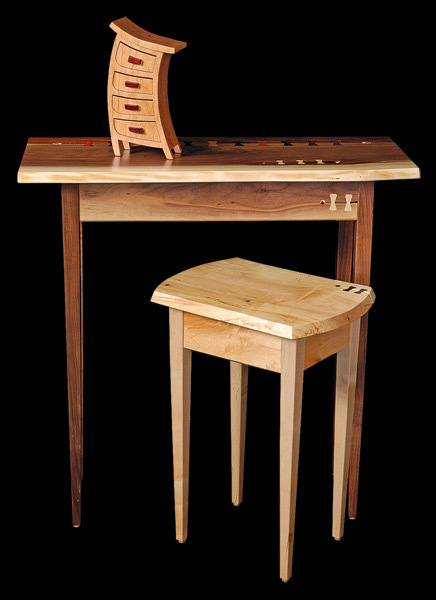 The first show was held in 2002, the brainchild of wood turner Jim Lorriman and cabinetmaker Carl Borgstrom. It was held in the latter’s studio in the Alton Mill as part of the Headwaters Arts Festival and represented an informal collection of local woodworkers. The show has been held annually since then, evolving into a popular, more formally curated, spring show at The Burdette Gallery in Orton – and it will return there next spring (April 17 –May 10, 2010). The show at the museum will be the first fully juried Made of Wood Show, with jurying sponsored by the Ontario Crafts Council. It will also be the first time the show has offered a full program of related events. A Touch of Elegance, was selected for exhibition at the Canadian pavilion at the Cheongju International Craft Biennale 2009 in Korea. It will travel from there for exhibition at the Cultural Olympiad during the Vancouver Olympics. Photo by Pete Herlihy. Chest by John Nephew. Photo by Pete Herlihy. 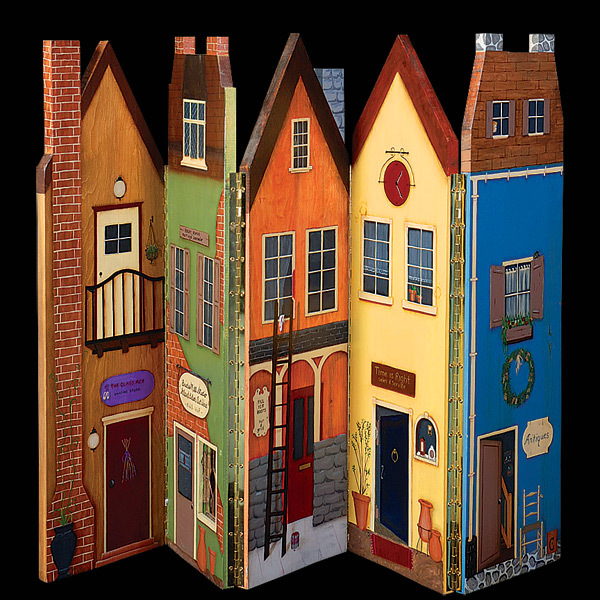 Folding screen by Mavis Wade. Photo by Pete Herlihy. Bowl and pedestal by Barry Young. Photo by Pete Herlihy. After John Nephew retired from a 31-year teaching career at Orangeville District Secondary School, a friend asked him to observe his nightschool class in cabinetmaking. Photo by Pete Paterson. 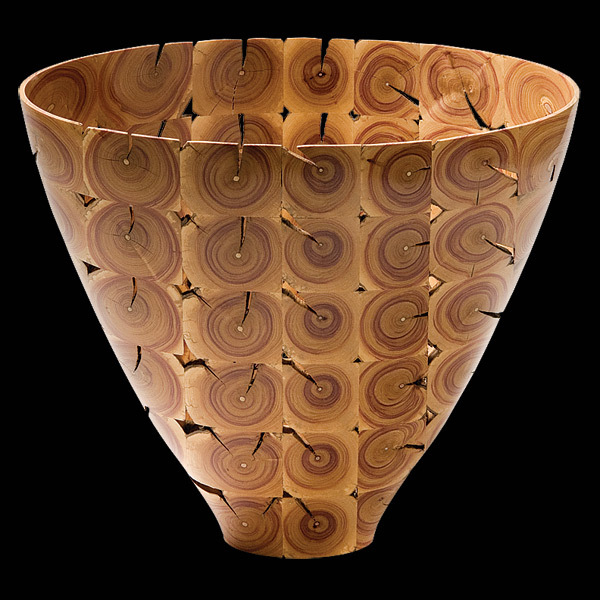 From his Bits and Pieces Studio in Mulmur, Jim Lorriman uses the concentric-ring lamination technique to fashion his distinctive decorative and functional “stick bowls.” Photo by Pete Paterson. Desk and chair by Sandra and Paul Szewc. Photo by Pete Herlihy. Bottle stops by Tom Hurst. Photo by Pete Herlihy. This chest of drawers is believed to have been made in East Garafraxa by either Carver Simpson or his older brother, Hextall Simpson, in about 1879. Photo courtesy DCMA. 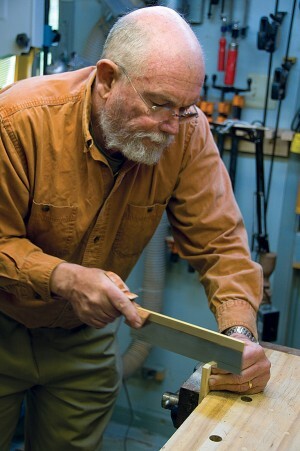 Brian Oates began making bows about 20 years ago as a natural evolution in his interest in traditional longbow hunting. A carpenter by trade, Oates also has a commercial pilot’s licence and acts as hunting guide in northern Ontario for a few weeks each summer. Photo by Pete Paterson. 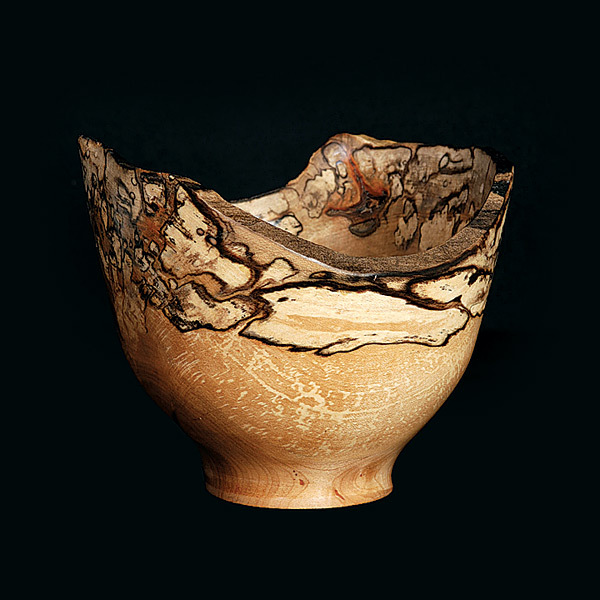 Wood bowl by Larry Cluchey. Photo by Pete Herlihy. Wood bowl. Photo by Pete Herlihy. Wood bowl by Arnold Veen. Photo by Pete Herlihy. Bows and arrows by Brian Oates. Photo by Pete Herlihy. 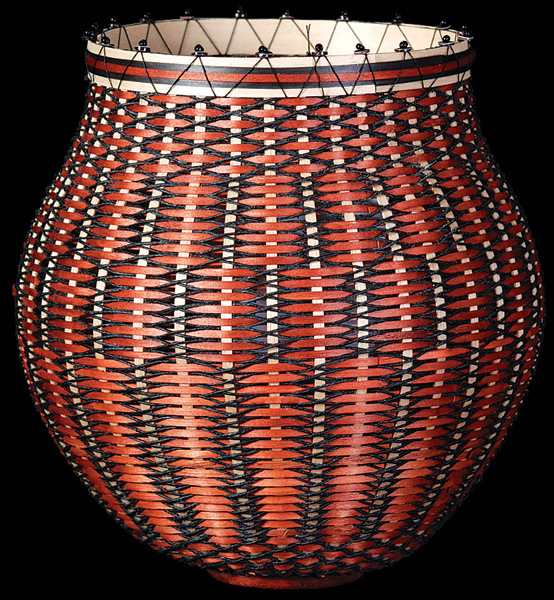 Wood basket by Wendy Durfey. Photo by Pete Herlihy. 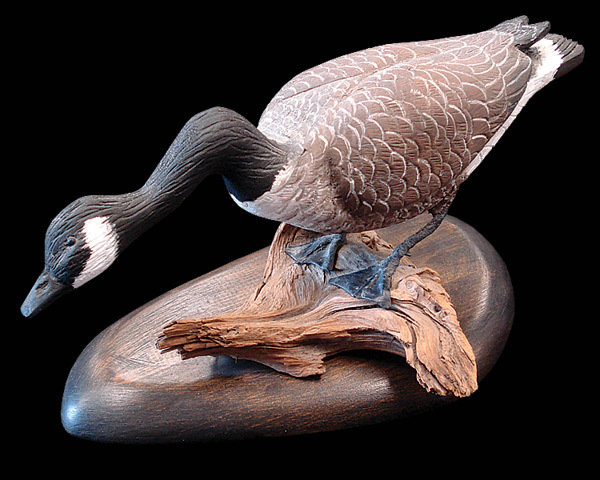 Among the museum’s more recent artifacts on display at the show will be a painted carving of a Canada goose by Reg Loucks. He lived on the Mono- Amaranth town line and sold carvings through a number of gift shops during the 1960s. Photo courtesy DCMA. Brian Oates began making bows about 20 years ago as a natural evolution in his interest in traditional longbow hunting. A carpenter by trade, Oates also has a commercial pilot’s licence and acts as hunting guide in northern Ontario for a few weeks each summer. Unlike some factory-made bows, traditional bows are hand-carved from a single piece of wood. Oates notes that he makes his bows in the same manner as indigenous peoples would have made them centuries ago. From his Bits and Pieces Studio in Mulmur, Jim Lorriman uses the concentric-ring lamination technique to fashion his distinctive decorative and functional “stick bowls.” The technique allows him to create bowls from relatively small branches of such woods as lilac, sumac and even grape vines, as well as from scraps of recycled wood, often with a sentimental value, such as spindles, floorboards, piers and barns. Lorriman’s work is available locally at Dragonfly Arts on Broadway and the Burdette Gallery. 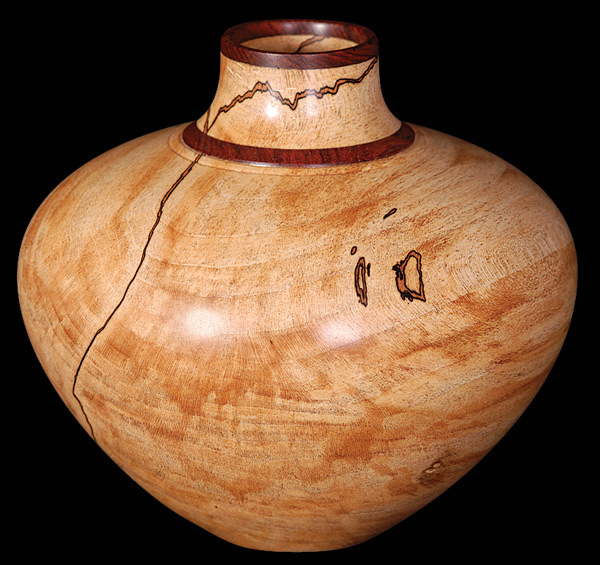 His work is also at The Guild Shop in Toronto, where a couple of years ago, one of his bowls was purchased by former U.S. President Bill Clinton. This year, one of his bowls, A Touch of Elegance, was selected for exhibition at the Canadian pavilion at the Cheongju International Craft Biennale 2009 in Korea. It will travel from there for exhibition at the Cultural Olympiad during the Vancouver Olympics. After John Nephew retired from a 31-year teaching career at Orangeville District Secondary School, a friend asked him to observe his night-school class in cabinetmaking. Photo by Pete Paterson. 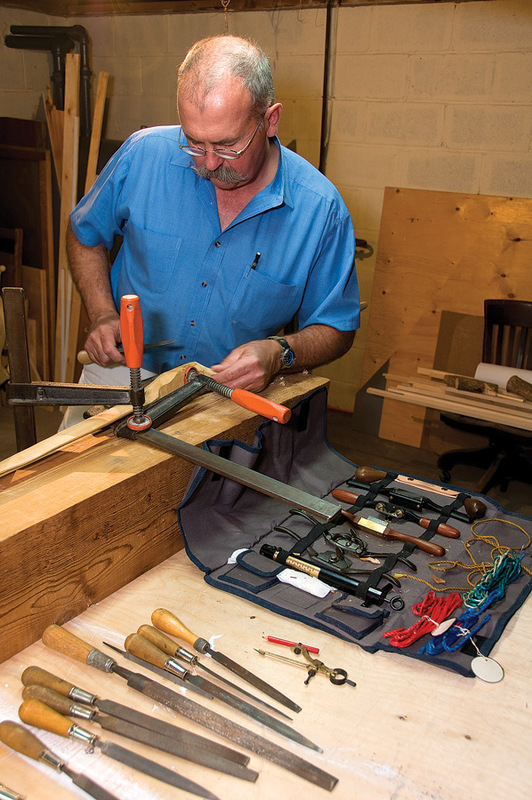 After John Nephew retired from a 31-year teaching career at Orangeville District Secondary School, a friend asked him to observe his night-school class in cabinetmaking. The friend had never taught his craft before and was hoping Nephew could offer some advice. Nephew did observe the class – and it was he who was transformed. In the ten years since, Nephew has studied with a variety of master cabinetmakers. 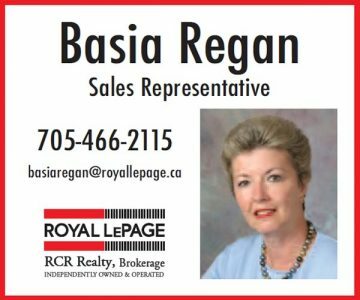 And in the garage-turned-workshop of his Orangeville home, he has produced dozens of pieces ranging from small boxes to occasional tables to large cabinets, many of them with hand-carved and inlay details. 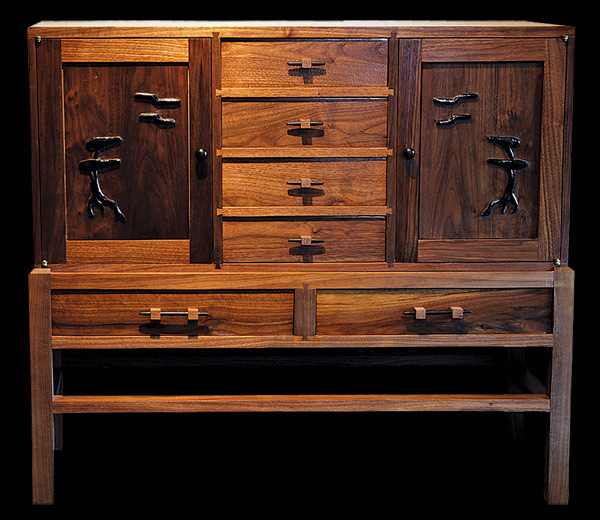 He has also experimented with a variety of traditional styles from Queen Anne to American Federal, as well as developing some of his own designs, like the walnut and ebony chest shown in the gallery. For the pioneers who settled these hills, the forest was a blessing that came with a curse. The forests provided the raw materials essential to their survival. They used the trees to construct their houses, their barns and their fences. They used them to make their furniture, to fuel their cook stoves and to heat their homes through the long winter. But the trees were also their enemies: clearing the primeval forest so they could grow their food and pasture their animals was almost unimaginably back-breaking labour. That intense and intimate historical link between the settlers and the forests of Dufferin County made The Made of Wood Show a natural fit with the museum, says show spokesperson Ruby Qureshi. As part of the two-week exhibition this fall, the museum will showcase some of the most impressive wood artifacts from its collection. 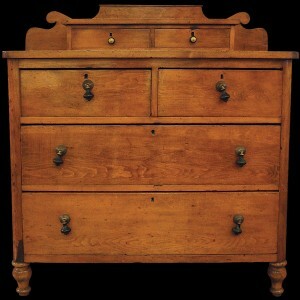 Among them is a chest of drawers (above) believed to have been made in East Garafraxa by either Carver Simpson or his older brother, Hextall Simpson, in about 1879. Hextall was known to have made several items of furniture, notably a dressing table, sideboard and cherry table among other pieces, for his sister Minnie on the occasion of her marriage in 1879. However, the Simpson family referred to the cherry chest for decades as “Uncle Carver’s chest,” because it occupied pride of place in his bedroom throughout his life. After Carver died in 1949, the chest went to his niece and remained in the family in daily use until it was donated to the museum in 2008. Among the museum’s more recent artifacts on display at the show will be a painted carving of a Canada goose (right) by Reg Loucks. He lived on the Mono-Amaranth town line and sold carvings through a number of gift shops during the 1960s. 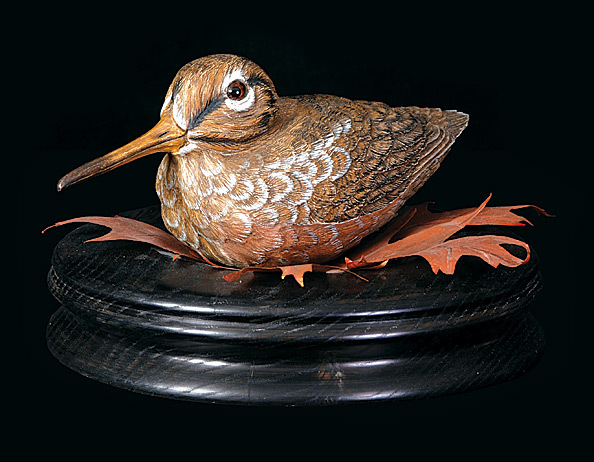 The goose was one of a pair created by Loucks as an award presentation to Jack McAdam, president of the Prospectors and Developers Association.